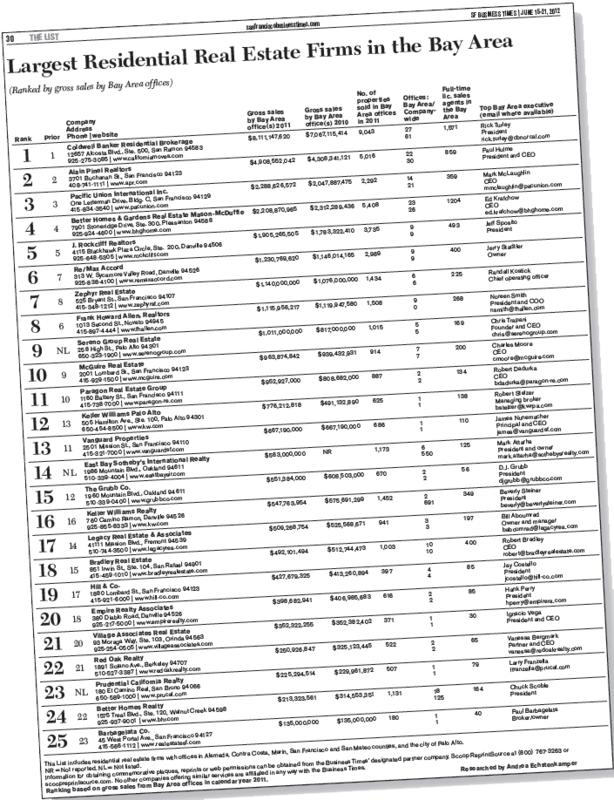 Welcome to Coldwell Banker – #1 Real Estate Company Worldwide! Coldwell Banker Previews International- Pacific Heights Office – #1 Coldwell Banker Office Worldwide! 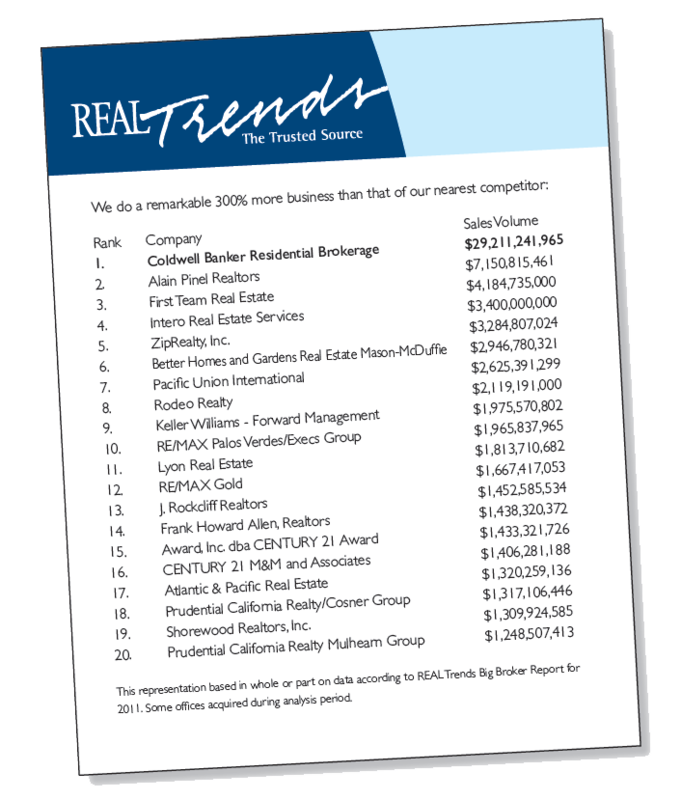 As the number one real estate company in key regions including California and throughout the United States,Coldwell Banker Residential Brokerage represents hundreds of buyers and sellers throughout the state and across the nation, every day. Our powerful connections, together with our unmatched marketing resources, make it easy to see why no other company is better equipped to give your home the most competitive possible exposure and deliver more potential buyers to your front door. We’re proud so many people put their trust in us and we look forward to proving our reputation with you. 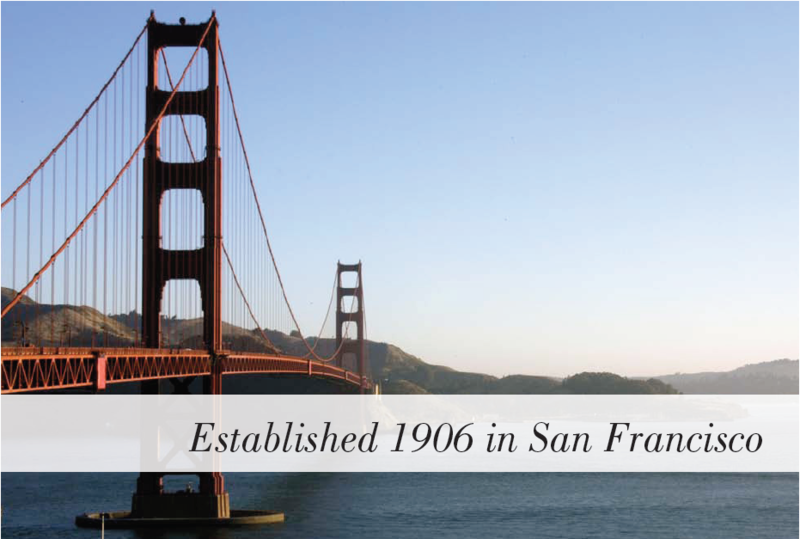 During the time immediately before the First World War, when respectable business practice were rare, Colbert Coldwell and Benjamin Arthur Banker strived to establish a real estate business offering honest, knowledgeable and component real estate services. The exceptional standards set by these real estate pioneers, who blazed a trail that the entire industry would eventually follow, remain the benchmark of today’s Coldwell Banker Residential Brokerage. Backed by more than 100 years of experience, our longevity is a result of our commitment to trustworthiness, professionalism, innovation and exceptional customer service. YOUR BUYER COULD BE ANYWHERE. THAT’S WHY WE’RE EVERYWHERE. Although we are international in scope, we understand that every transaction is unique and very personal for each client. 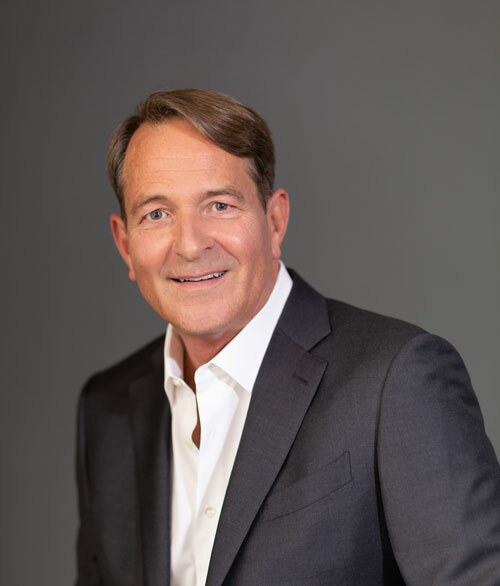 The resources of Coldwell Banker Residential Brokerage, backed by the strength of 106 years of experience in the local real estate market, provide the foundation for the most comprehensive, personalized service in the industry. 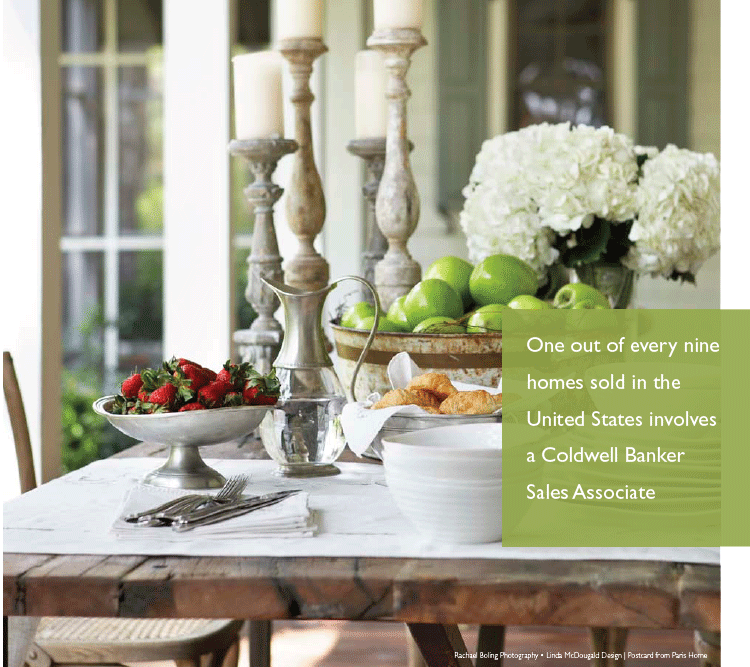 With 30% of buyers coming from outside of our county, it’s imperative to choose a real estate company that has reach beyond our local area when selling your home. 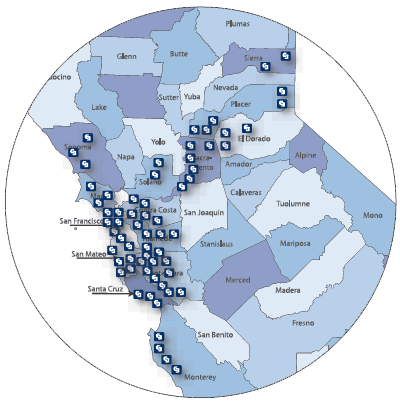 Coldwell Banker Residential Brokerage has 59 offices in Northern California, ensuring that our clients’ homes receive broad exposure beyond our local neighborhood.